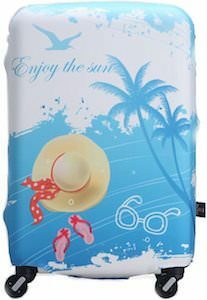 Now your suitcase can look like summer all thanks to this summer time! suitcase cover. The suitcase cover is available in 4 sizes and that makes it perfect for almost any suitcase. The cover does keep wheels and handles available so your suitcase will be fully functional while looking amazing and protected. A suitcase cover makes it more difficult for people to steal from inside while also being protected from harm by baggage handling. 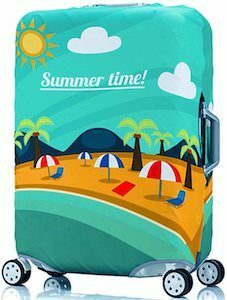 Finding your suitcase on a luggage belt will be a lot easier because not many suitcases look like the beach and say summer time on it.